A Liberian journalist says he is appalled by recent remarks by the son of Liberian President Ellen Johnson Sirleaf posted on Facebook on November 13, in which he “threatened to deal” with anybody who protests his candidacy for a senatorial seat. Jackson T. S. Seton, formerly news editor of the Inquirer Newspaper, now a US resident, said the freedom which Robert Sirleaf and his likes enjoy today was fought for by the blood, sweat and tears of ordinary Liberians, and as such, to threaten Liberians for exercising their rights to protest peacefully as enshrined in the Liberian constitution is a mockery to the democracy tenets that the Ellen Johnson Sirleaf administration professes to up hold. Journalist Seton reminded Mr. Sirleaf, who wants to become senator of Montserrado County, to take cue from Liberia’s recent past history: the 1980 bloody coup de tat and the 14-year senseless civil wars. He noted that the nation’s ugly past can be attributed to remarks and actions by people who made similar threats like Mr. Sirleaf. 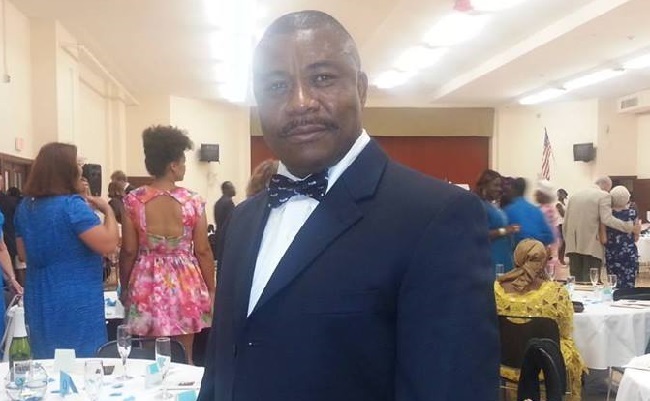 The former news editor admonished Liberian politicians to learn from Liberia’s recent history so as not to repeat the same mistakes of the past. According to a press release from the Tegbe and Tegbe Associates, a communication and research firm based in the American state of Delaware, Mr. Seton maintained that although Mr. Sirleaf has not won the senatorial election, he has now gone on the spree of threatening peace loving Liberians. Journalist Seton asked, “what will he do if elected?” He pointed out that because of the gullibility of some Liberians, they will not look at the potential threats that Mr. Sirleaf remarks pose to the country’s fledgling democracy. He added that they will join his bandwagon, campaign for him, and do everything to have him elected to be the next senator for Montserrado County for little or nothing. He said Mr. Sirleaf’s statement is demeaning and it shows that he and his cronies do not care for Liberia and its citizens, and that all they care for, is the fast accumulation of wealth. Mr. Seton obtained his Master of Science degree in Applied Mathematics from Delaware State University. He also holds a Bachelor of Science degree from the University of Liberia in 1998 majoring in Mathematics with minor in Economics and Demography. Currently, he works for the School District of Philadelphia, and is an adjunct Mathematics Instructor at the Community College of Philadelphia and the Delaware County Community College. He can be reached at 302-299-6996 and at jtsseton@yahoo.com. You can also find him on Facebook.com, Linkedin.com and Twitter.com.